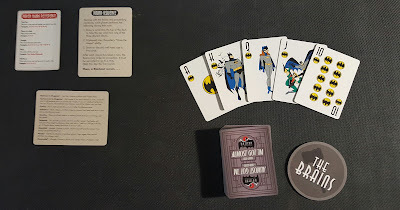 Home board game review Review: Batman "ALMOST GOT IM"
As a child of the 90’s one of the best cartoons to watch at the time was Batman: The Animated Series. The writing was geared so all audiences young and old could appreciate it, the animation and art directions was stylized to give that heavy dark atmosphere perfect for the Dark Knight. Even now this series still hold and is one of the best Batman series out there. Why this trip down memory lane you ask? 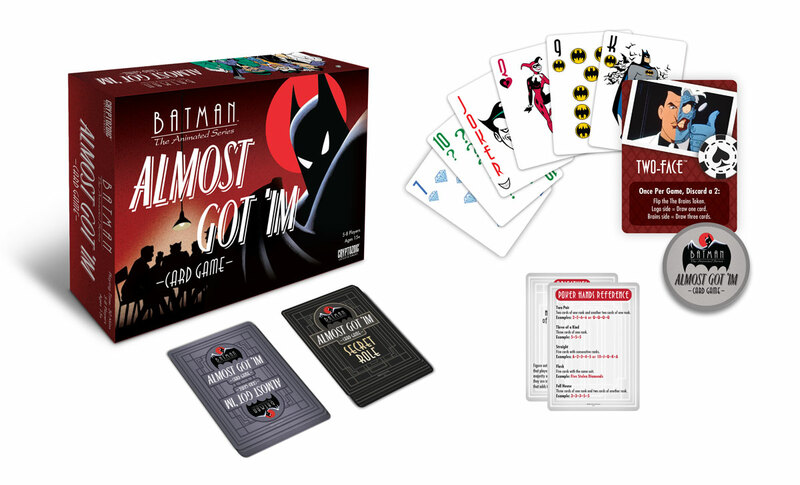 Well it seems the folks at CRYPTOZOIC are tapping into this nostalgia with their new game Batman: ALMOST GOT’ IM. In that episode "While hiding out from the police, the Joker, the Penguin, Two-Face, and Killer Croc gather at the criminals-only Stacked Deck Club, where they play cards and share theories about their mutual foe, Batman. Two-Face doubts that Batman is one person, speculating that Gordon has several "stashed away like a SWAT team." The Penguin correctly theorizes that Batman suffered some crime-related trauma in the past. Killer Croc claims that Batman is a robot, much to the skepticism of the other villains. Poison Ivy then arrives and joins the game. Soon after, all five of the crooks begin to argue over who has come closest to killing Batman, and each tells their own story about how they "almost got 'im." 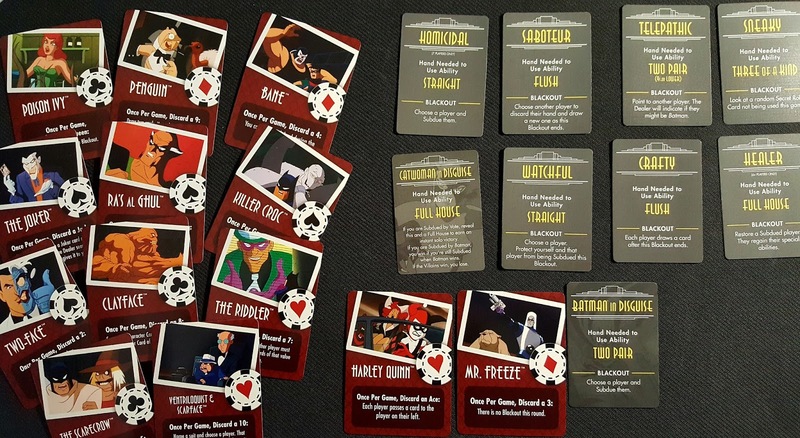 Just like the actual episode of the series, Players take the roles of various villains from Batman’s rogues’ gallery sitting at a game of poker. Little do they know that one among them is really Batman in disguise. This now becomes a game of deduction in which the villains must work together to figure out who is Batman while Batman’s goal is to arrest and subdue the villains. As a fan of the series I remember this episode clearly and could not wait to play this game. Anyone familiar with the Werewolf game will see the familiarity. There is a main phase where Players will have time to deduce who the betrayer is and eliminate them and a second phase in which the betrayer will secretly eliminate the other players. This back and forth play continues until the players find the betrayer or the betrayer eliminate everyone. Batman: IGM takes these mechanics and adds more to it. Just like Werewolf, there will be a Referee who does not play but rather oversees the game and make the game runs smoothly. He will deal the players two cards; a villain card and a secret role card as well a 5-card hand from a deck of playing cards. The Villain card tells you which specific villain you are at the table (Joker, Penguin, Two Face, etc) and gives them a once per game special ability. The Secret Role cards will indicate if you are really Batman in Disguise or another role that will help discover who batman is. During the Main Round, players will take turns drawing and discards cards in an attempt to assemble a certain poker hand that is determined by their Secret Role card. At the end of this round, players have a chance to accuse another of being Batman. Unlike werewolf there is no penalties for not accusing or voting out a player. The reason being is that Batman only has to arrest a certain amount of players. So accusing and voting out the wrong player make it easier for Batman to win. After this the referee will start the “Blackout Phase”. Players will close their eyes and the referee will go to each player and ask them if they wish to reveal their poker hand to him in order to use their secret role ability. At this phase Batman can show the ref his hand and if he has 2 Pair he may select another player to arrest. Once the ref has checked every player at the table, he will end the round and have players open their eyes: Then he will reveal what events take place. The game repeats this play until the players have successfully found Batman or Batman has arrested the number of villains he needed. This is not exactly an easy game to start. Since I bought the game I was the one to learn all the rules and run the game. 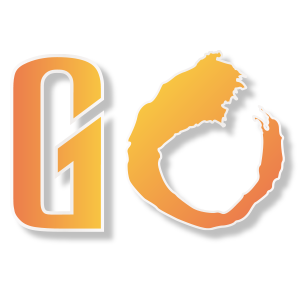 Running the game for the first time will be challenging simply because the number of rules and mechanics to keep track of. During the game it will take some time to remember what all the cards do. Thankfully the game does give you a reference sheet of how the Round Sequence works as well as one for the secret roles. On the player's sides it of it; the game definitely has an adjustment period. Players have to deduce who is Batman based on what cards are played or discarded and what abilities are activated. I wished the game gave each player their own cheat sheet they could reference instead of sharing just one between 5-6 people. The other issue is the Poker mechanic. Because you need certain hands to activate your secret roles abilities there will be turns where nothing happens in a round. Because of these issues the game play runs slowly compared to the quicker, simpler werewolf game. Hello everyone, Thanks for reading my review. I am a friend of Saintilus and fellow comic book, anime, gaming nerd. Our gracious host has reached out to me wondering if wanted to give a review on his blog. I thank him for the opportunity and hope you guys find my review helpful. Who knows, I may drop by again with more articles.